Starting a new business can be one of the most exciting times of your life, aside from the fact that you’re working from the ground up with typically most of your own money. Conjuring a startup out of thin air takes more than the right resources and strategies – it takes gumption. If you’re ready to take the plunge, pat yourself on the back. You’ve taken the first step toward creating your startup. The second step is to prepare for what lies ahead. There may be no time like the present, but entrepreneurship is all about the future. Great startups look at what the world will need next year, five years from now, even 20 years from now. Think about what we’re evolving toward and come up with solutions for problems we may see in the future. Investors want to see that your startup has potential to last for the foreseeable future, not peak in its first year and then fizzle out. Focusing on the future instead of on the past or present is the only way you’ll come up with a product or service people will want to invest in – and eventually buy. Looking at the future includes thinking about where your company will be financially, not just what you’ll provide. Startups rely on the financial support that makes them… well, start up. If you don’t plan ahead enough, you could hit zero before your product or service even makes it into public hands. Laying the groundwork for your startup involves solid financial planning, investment building, and precise bookkeeping. Hiring an accountant to plan your finances is often worth the investment. You can also look into financial management tools such as FreshBooks and Gusto for help keeping up with daily expenses. Funding your startup can be one of the biggest hurdles you must jump over before your grand opening. There are tried-and-true ways to gain financial momentum, such as seeking a small business bank loan or line of credit. However, the bank may require you put up significant collateral with your existing assets. You’ll also be subject to interest fees and debt repayment plans. Alternatives to this route include negotiating an advance from a partner or future customer, joining a startup accelerator such as Y Combinator, applying to local angel-investor groups, requesting a small business grant from the government, or trying your hand at crowdfunding. If none of these outlets works in your favor, you can always try the original loan service – asking your parents and family members for financial support. Or, as so many startups strapped for cash nowadays do, you can fund the startup, yourself. Once you have your financial future as nailed down as possible, you can begin the fun part – creating prototypes of your product or service. As an entrepreneur, you’ve probably wanted to get to this part from day one. The chance to see your product or service come to life is exciting, and reminds you why you decided to start your own business in the first place. Build a prototype or at least create a detailed blueprint or plan of what your business will do. When your prototype is ready for action, show it to people. This point in your startup is the ideal opportunity to get quality feedback from investors, friends, and potential customers. Listen to what they say about your idea and make necessary changes. Is your product too difficult to use? Consider a simpler version. Does your service lack a mobile presence? Include plans to create an app. Keep an open mind, and remember that constructive criticism is not a personal attack. Every entrepreneur should launch his or her startup with sustainability in mind. 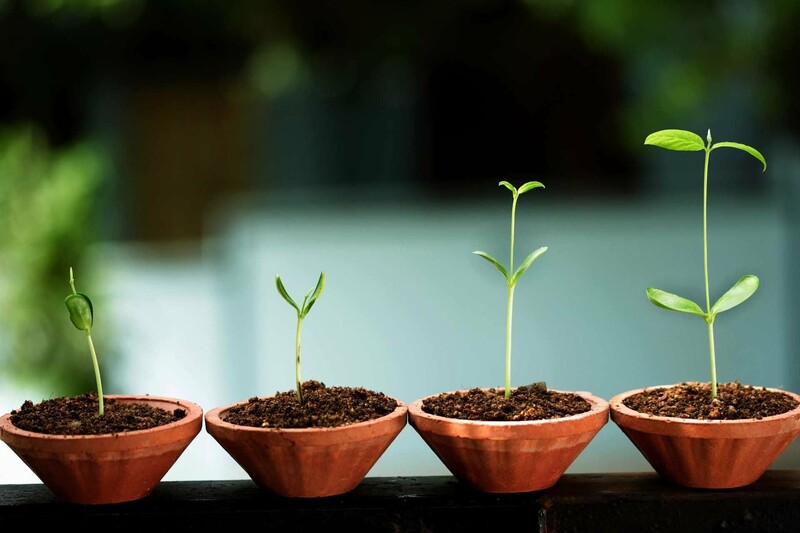 If, as you predict, your startup takes off, you’ll need to prepare for steady growth. Many companies underestimate what it takes to run a full-scale company – from organizing payroll to building multiple locations. A sustainable business takes into account society, the environment, and economics. Build your company with the goal of making these three elements work for you far into the future. Embracing change is the name of the startup game. If you resist changes in society, your consumers are bound to leave you in the dust. Great startups are diverse and flexible, changing with the times and adapting to new trends and technologies. Your startup should have the capabilities to remain ahead of competition as a leader in your industry – no matter what the future brings. Creating an environmentally sustainable company is important for the future of the world, as well as to retain customers. Today’s consumers are unlikely to support companies that don’t have a solid sustainability plan, or at least companies that make an effort to stay environmentally friendly. If your startup offers a product, consider using recycled or recyclable materials. If you offer a service, show that your company stands for green living. Your startup can’t grow unless you equip your company for the long haul. Typically, startups face multiple challenges before they get off the ground. No matter how prepared entrepreneurs are for the difficulties of starting a business, we can’t always predict the future. Some common early issues that business owners face include coping with the stress of long hours, difficulties networking, and unpredictable cash flow. Long hours especially affect entrepreneurs with families, while networking difficulties may occur for those with a smaller reach. Unpredictable cash flow can happen to any startup. An investor could back out at the last minute, or you may hit expensive roadblocks you weren’t expecting. The more you come to expect these common challenges, the easier it will be to deal with them effectively if (and when) they happen to you. The biggest marketing challenge B2B small businesses face is the need for better-quality leads and more leads in general. Lead generation is difficult enough for a startup, but generating good-quality leads is even harder. A few ways to avoid this pitfall are to optimize your content for your target audience, include strong calls to actions with links back to your page, and create a strong social media presence. Social media is an important element for a startup to boost brand awareness and establish a name for yourself. Startups in the past had difficulty mastering social media platforms, but today’s tech-savvy Millennial entrepreneurs are not as slow on the uptake. This means today’s business owners need to be masters of social media marketing and know how to use each platform to their greatest advantage. Learn the demographics of social media users to target your audience using their preferred social media site, and they will often spread your brand for you via your shareable content. The third-biggest challenge for small businesses is lack of budget. We’ve already discussed the importance of financial planning, but many startups fail despite solid accounting skills. You may find that investors have excuses not to invest in your startup, or that your lack of experience led to spending more than you make back. Having enough money does not ensure you’ll handle it correctly. Hiring a ton of people in the beginning of your startup can burn through your company’s finances faster. Failing to come up with a backup plan if a client doesn’t pay might mean your business goes under. Make your budget last with smart financial planning, and don’t be too proud to ask for expert help. By avoiding a few common mistakes and keeping your eye on the prize, your startup will break ground in no time. All it takes is a solid business foundation and a little entrepreneurial know-how.